Several years ago I made a few scarves incorporating my Sugar Candy Skull Motif pattern with flower motifs. I ended up with two scarf styles: one pairs black skulls with 3-D red or pink rose motifs, the other pairs white skulls with a colorful, lacy flower pattern. 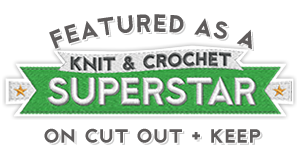 Categories: Crochet It | Tags: calavera, crochet, crochet skull, Day of the Dead, Halloween, rose, skull, Sugar Candy Skull Scarf | Permalink. October should be a fun month for sock crochet, and I didn’t want to leave you out of some of the festivities happening in our Year of the Sock Facebook group. To celebrate the season, we proposed to crochet socks inspired by Halloween and autumn. If you’d like to join in, you might choose a Halloween or fall sock pattern or create your own design inspired by the season. To help jump-start your creativity, I put together the mood board below with Halloween color palettes and designs, including a roundup of patterns. 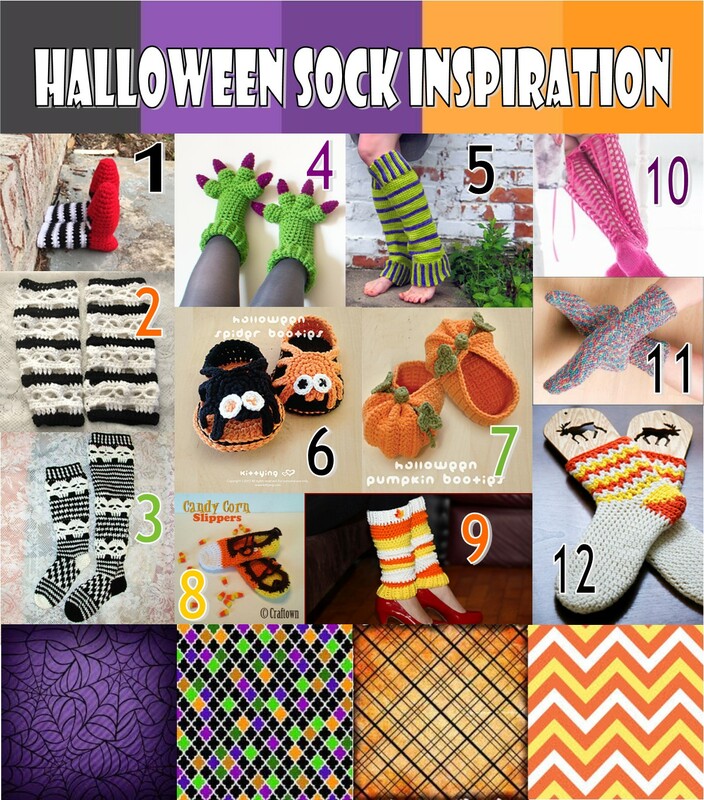 Feel free to choose one of the patterns listed here, or you might choose to work a basic sock pattern (or your favorite sock pattern) in Halloween colors, or crochet a pair of funky monster slippers! I found this mood board to be a great starting off point for my October socks. After crocheting nine pairs of socks already this year, I think I’m ready to try my hand at designing my very first pair. I hope to use some of the techniques that I’ve really enjoyed from all the socks I’ve crocheted. I’m thinking that this pair will be worked from the toe up, with an extended single crochet stitch for the foot, a short-row heel, and a very special stitch pattern that I recently stumbled upon (and now can’t get out of my head) for the leg. I think I’ll keep it a secret for now, but if you follow me on Pinterest, I bet you could guess which stitch pattern it is (when I get obsessed, there’s no stopping me!). Last night I ordered the yarn for my socks from Knit Picks. I can’t wait to see how these tonal grays work with little bits of bright green and purple popping through. And I can hardly wait to see what socks you come up with for the month! Will you share a photo of them with me? 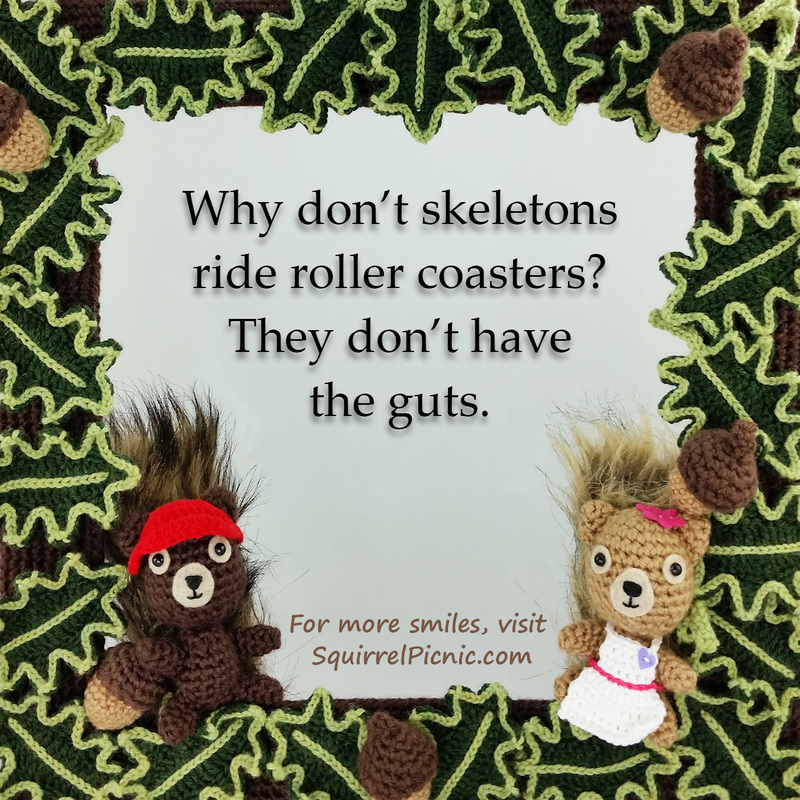 You can email squirrelpicnic(at)gmail(dot)com or join the Facebook group. We would love to have you! Categories: Crochet It | Tags: autumn, crochet, fall, Halloween, Halloween socks, socks, Year of the Sock | Permalink. Podge wants to be a pretty princess this year for Halloween. Seeing as her favorite color is pink and she’s a total princess the other 364 days of the year, this comes as little surprise. Podge just loves dressing up! Podge loves trick or treating too. Every year it’s the same story. At the end of the night she dumps her candy out on the floor and picks out all the pink ones to stash away for herself. She gives the rest to Hodge and I. Her favorite pink candies are Hubba Bubba Bubble Tape, cotton candy Jelly Belly Beans, Bubble Yum, Good n Plenty, strawberry Nerds, watermelon Jolly Ranchers, and strawberry Laffy Taffy to name a few. Did you know you can shop for candy by color? I’ll have to remember that for her next birthday party. 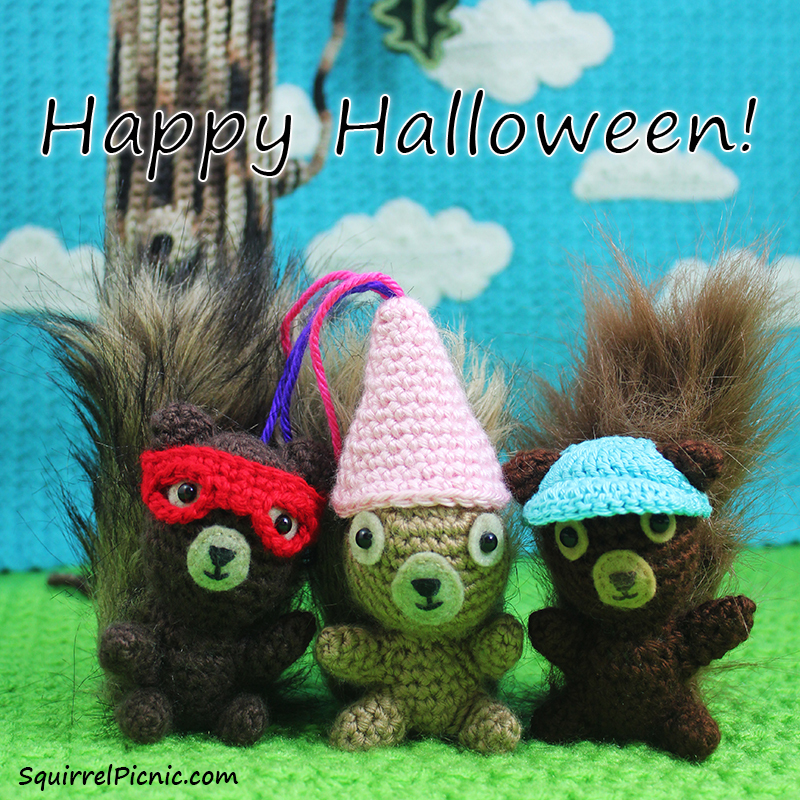 Is your squirrel going trick or treating this year? Now you can dress them up like a princess too with this free pattern! 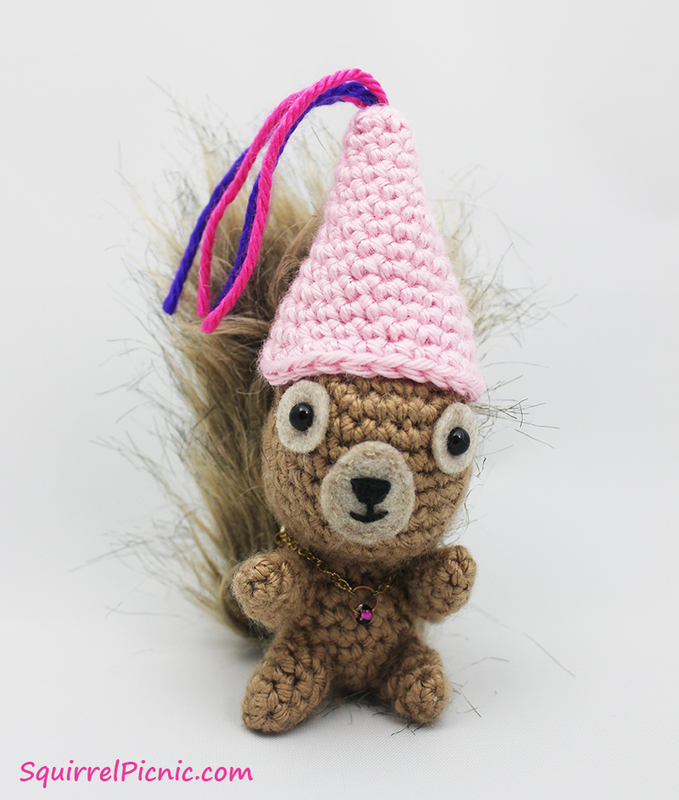 Categories: Crochet It, Hodge & Podge | Tags: costume, crafts, crochet, Halloween, princess, squirrel | Permalink.